Experimental electronic maestro Flying Lotus has returned the fray with his new single “Never Catch Me,” featuring fellow L.A. native Kendrick Lamar. The track’s slightly melancholy, pared down brew of somber piano licks, layered synthesizers and effects and skittery, shifting drum patterns and bass are reminiscent of the R&B-jazz-hip hop hybrid of Lotus’s 2012′s opus Until The Quiet Comes. The Compton emcee matches the song’s mood and restless production, turning in a verse both frenetic and introspective. 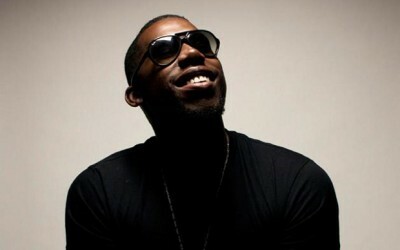 “Never Catch Me” is the first single from Flying Lotus fifth album, titled You’re Dead!, slated to drop October 7. Listen to the song below.